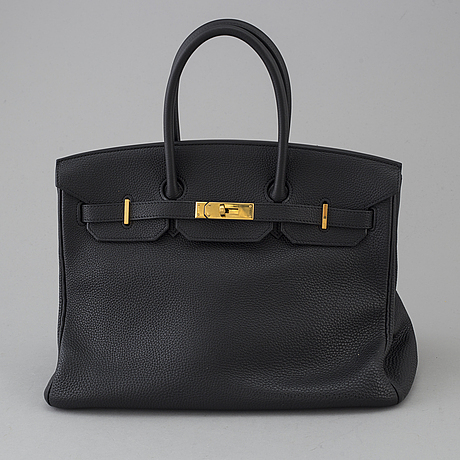 A Birkin 35 by Hermès, 2008. 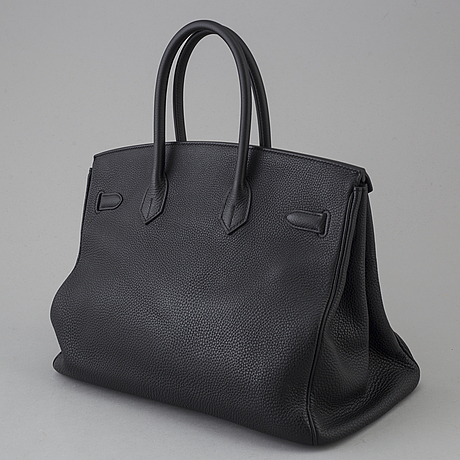 Black togo leather with with black seams. Gold metal buckle and hardware. 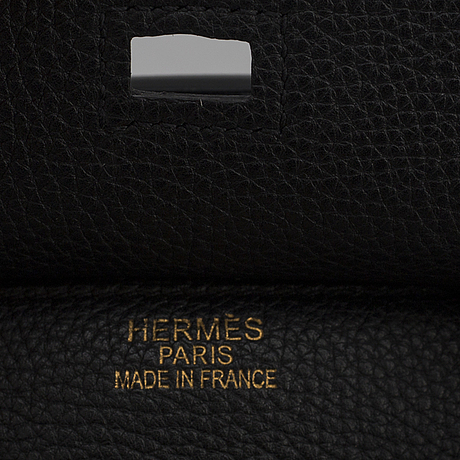 Label marked "HERMÈS PARIS MADE IN FRANCE". Artisan and year stamp on the inside of the strap. 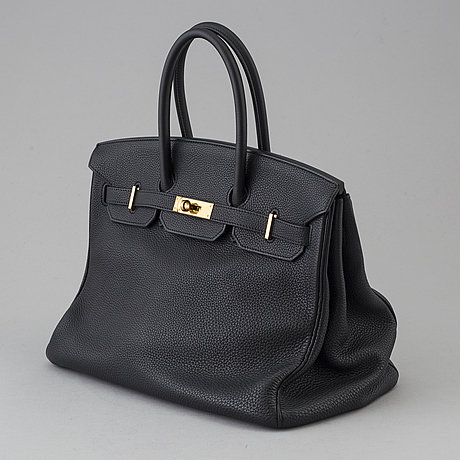 Lined with black leather. Two interior pockets, one with zipper. Ca 35 x 27 x 19 cm.